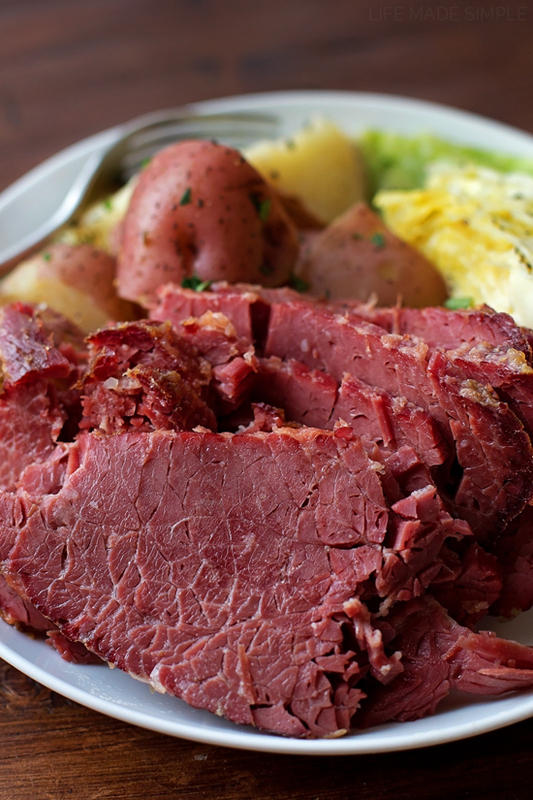 Whip up this easy, homemade corned beef and cabbage for St. Patrick’s Day! It’s tender, flavorful and served up with lots of veggies! Guys, St. Patrick’s Day is right around the corner! ???? 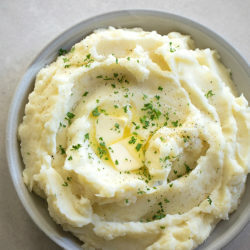 We always make the traditional corned beef and cabbage per my husband’s request, so I thought I’d share our super simple recipe with you all. 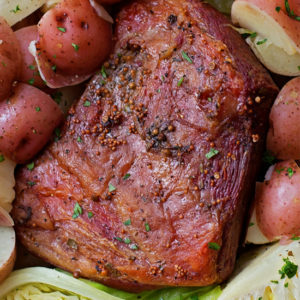 7 ingredients and a just a few minutes of prep, and you’ve got a pot full of tender & flavorful, corned beef, potatoes and cabbage. Mmmm! Ok, when referring to corned beef & cabbage, I should probably use *recipe* sparingly. This meal is so effortless I don’t even know if we can call it a recipe. It’s a put everything in the pot and let the stove/oven do the work kind of dish… which for me, is always a BIG bonus! More time to concentrate on really important things… like fluffy, freshly baked, carbs. ???????????? Serve this traditional Irish dish up with homemade rolls and watch it disappear before your eyes. 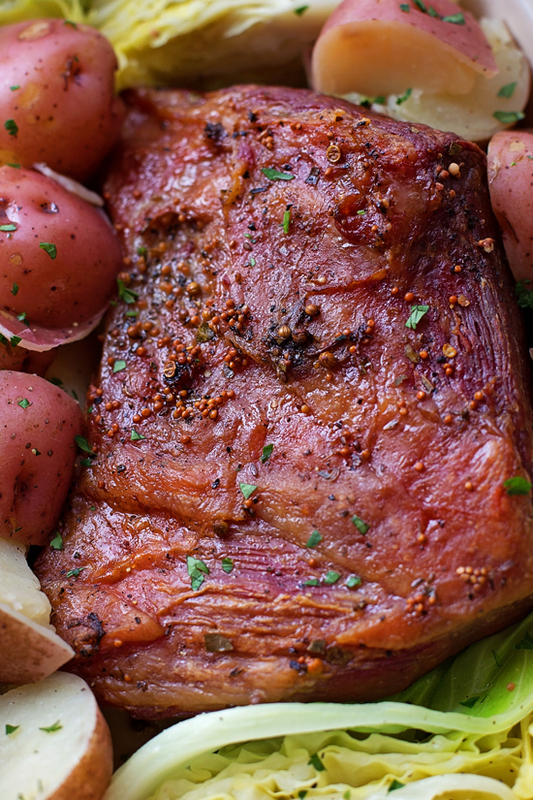 This special meal is a family favorite, especially in March. I hope your family will enjoy it too! 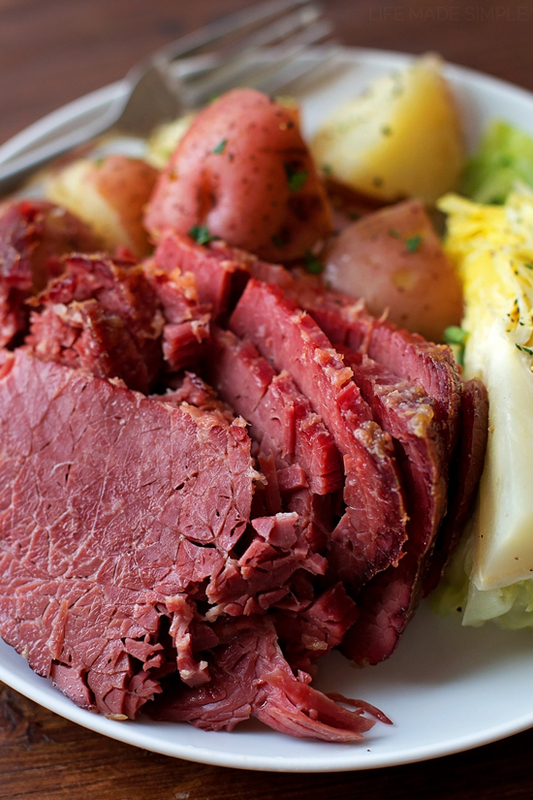 Whip up this easy, homemade corned beef and cabbage for St. Patrick's Day! 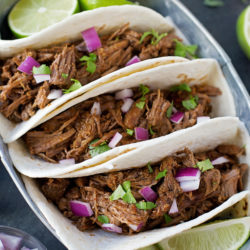 It's tender, flavorful and served up with lots of veggies! 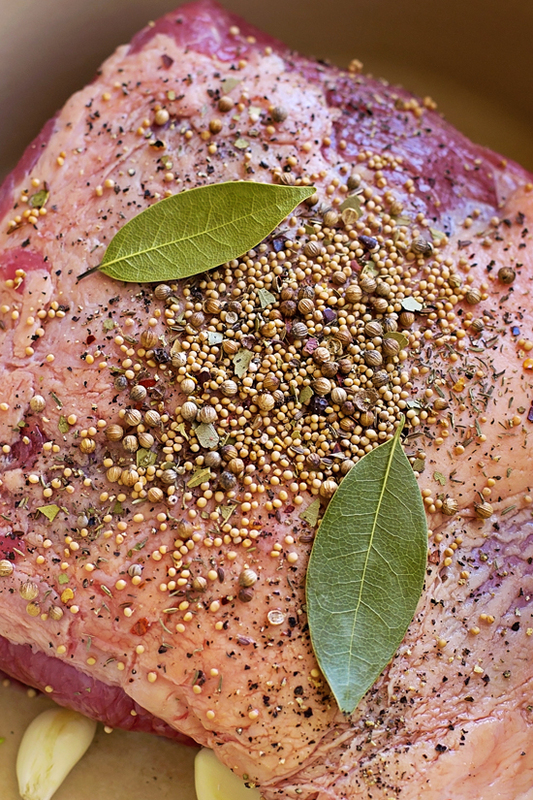 In a large stockpot or Dutch-oven, add the corned beef (fat side up), seasoning packet, bay leaves, garlic cloves, thyme, and pepper. Pour enough water to completely submerge the corned beef. Bring to a boil, cover, and cook for 60-80 minutes per pound. Half way during the cooking process, you may need to add enough water to keep it covered. Preheat oven to 350 degrees. Line a roasting pan with aluminum foil. Place the fully cooked corned beef fat side up in the pan. Place in the oven and roast for 45 minutes to an hour or until the fat is nice and crisp. Keep the pot covered and the liquid hot, but not boiling. Meanwhile, when the corned beef has 30 minutes remaining, bring the pot to a boil and add the potatoes. 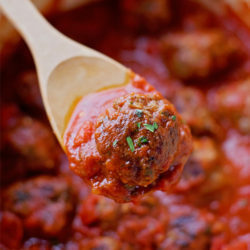 Reduce heat to a simmer and continue cooking until almost tender. Add the cabbage, cover, and cook for about 8 minutes. Remove from the pot and serve with slices of corned beef. -Feel free to add chunks of carrot along with the potatoes!